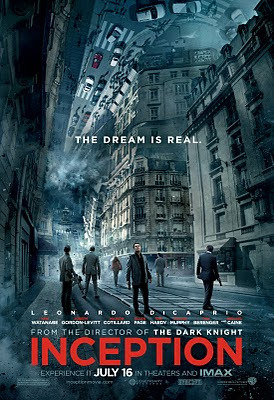 We watched Inception at Eastwood Cinema 1 last Friday. We took the 8PM slot since the 5PM seats is almost full. We decided to roam around at the Eastwood Mall while waiting for our screening time. What if you can get into other people's dream and steal their ideas? What if you can discover their deepest and darkest secrets? This is the main plot of Inception. 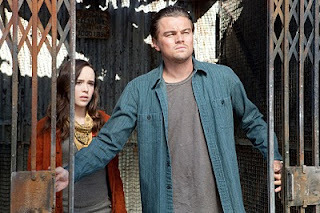 The story revolves around Cobb (DiCaprio) with a team of individuals who uses a technology to enter a person's dream and steal information from their subconscious. Initially the method is called extraction, which means they get inside the other people's mind and steal information. As mentioned in the movie, the technology was developed by the military. Cobb uses this skill to earn a living by being hired by companies to steal information from a rival company. For the method to work, they will need people with different skills such as an 'architect' which will be responsible for the construction of the dream world; a 'forger' which impersonates somebody from the dream; a 'chemist' which formulates the drugs needed to enter the dream world; a 'point man' which researches information about the 'target' prior to entering the dream; and the 'extractor' which is responsible for stealing information. After failing to steal information from Saito (Watanabe), Cobb and Arthur (Gordon-Levitt) must escape from the company that hired them to extract information from Saito. But Saito already knew that he was targeted during the dream because it was sabotaged by Mal (Cotillard) and offers the two to work for him with a new concept called Inception. As defined, Inception works like you are putting an idea into somebody's mind and the direct opposite of what they normally do which is stealing an idea. The offer was so good that Cobb cannot refuse and assembled a new team with Ariadne (Page) as a new architect, Earnes as a forger, and Yusuf as the chemist. Their target was Robert Fischer (Murphy), apparent heir to Saito's rival company. to successfully implant the idea they need to get into the 3rd level of dream, meaning they have to enter in a dream within a dream within a dream. This complicates things because as they go deeper in the dream, the chances of getting back is becoming low. 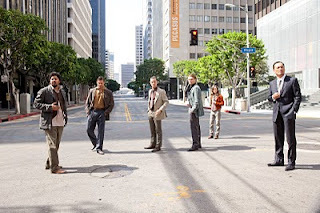 The cast could be described as Nolanesque with Michael Caine, Ken Watanabe and Cillian Murphy since all of them were in Batman Begins which Nolan directed. Joseph Gordon-Levitt (Cobra Commander in GI Joe) and Ellen Page (Kitty Pryde in X-Men: The Last Stand) showed big difference from their previous characters they played. With the film's plot, it raises some questions if this technology will be possible. Is it safe to sleep especially if you have to many secrets to keep? Are we still dreaming during our sleep or are we currently in a dream? 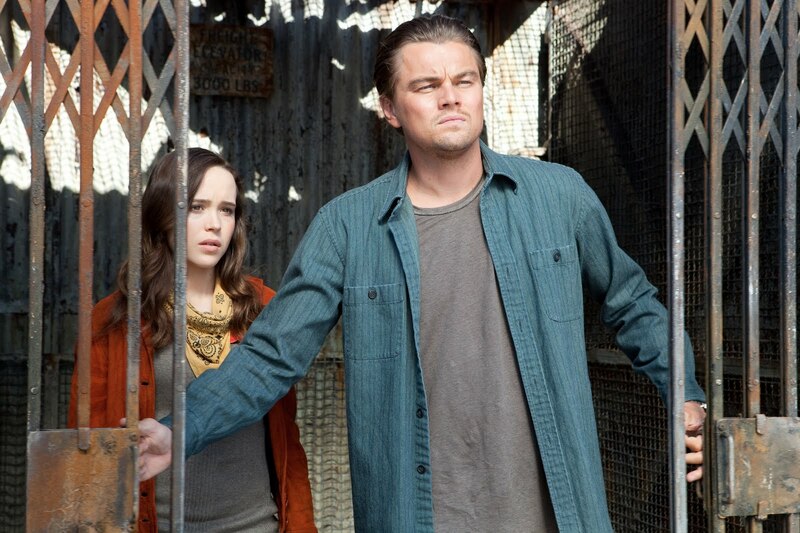 I will give Inception a rating of 9 out of 10. 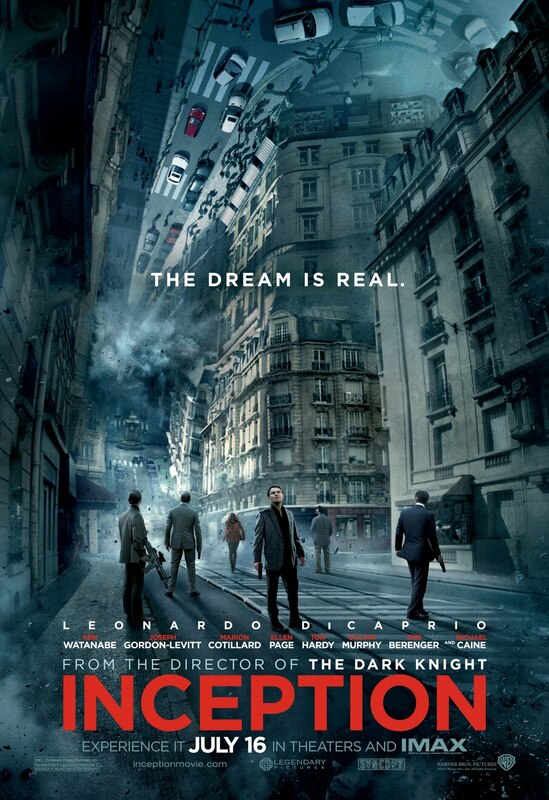 I never had a dull moment during the whole movie since Christopher Nolan was able to carefully show details. Although the theme is a little bit complex, you will not have a trouble understanding what was happening with the story. I can also compare the action sequence, during the hotel scene with Gordon-Levitt, with that of The Matrix series. Only one question remains unanswered, is Cobb finally home with his family or is he still in a dream. As for me, whether he made it back to reality or he get stuck in the dream world, he got what he wanted - peace of mind after what happened with Mal and being with his children.